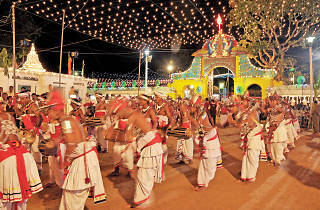 A festival procession that travels through the town’s roads, the Kataragama Perahera is part and parcel of the Esala Perahera in honour of the god Skanda, also referred to as Kataragama Deviyo. 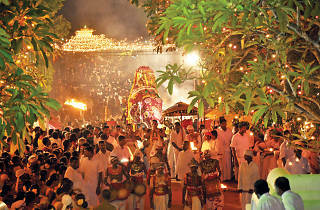 Countless devotees and visiting spectators gather for this traditional annual event. 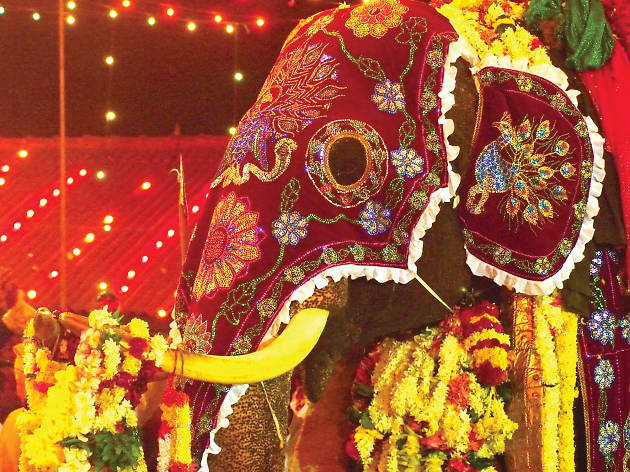 While elephants take centre stage at this parade, regional dance performances burst into view, followed by ceremonial fire walkers, fire eaters, singers, musicians and a myriad of acrobatics and jugglers engulfing the streets in a wave of colour and wonderment. 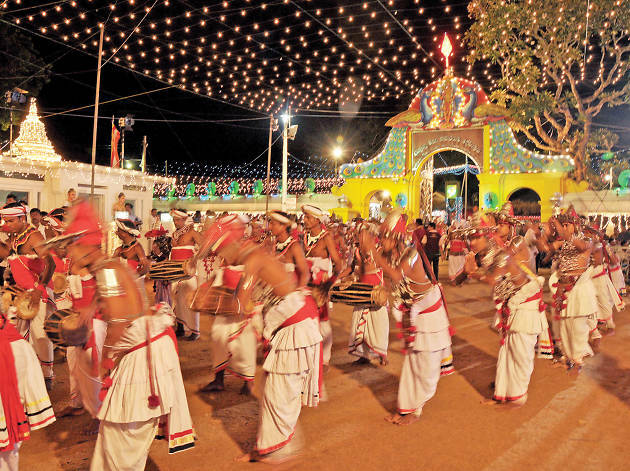 Kataragama is interwoven around many faiths, thus this Perahera spectacle is one to look forward to. 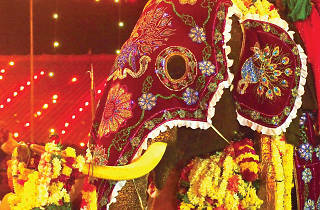 Preparations begin with the kap ceremony proceeding over a month before the actual event. 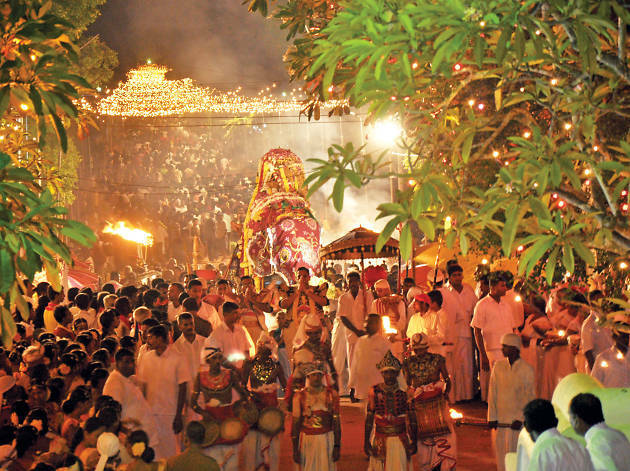 The auspicious day and time calculates the commencement of the procession by the cracking of whips against the ground, breaking the quiet evening air. 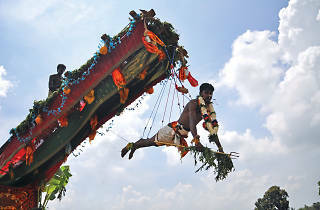 Usually taking place in the months of July or August, the Perahera runs for about two weeks, travelling from the Maha Devalaya to the Valli Ama Devalaya and returning again to its point of origin, and ending with the cutting ceremony on its last day. 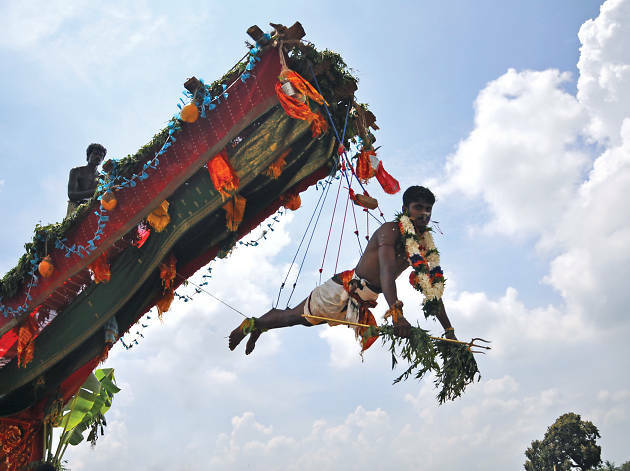 Pilgrims travel through harsh weather, jungle and unfavourable conditions on foot on the long devotional journey from the Jaffna peninsula. 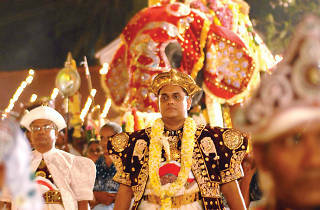 They arrive just in time for the Kataragama Perahera. 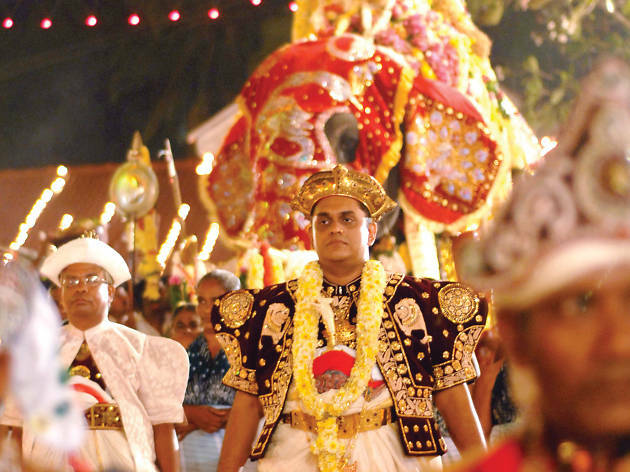 This great walk is known as the Pada Yatra and it is undertaken by devotees bringing their contribution of faith to the festival.